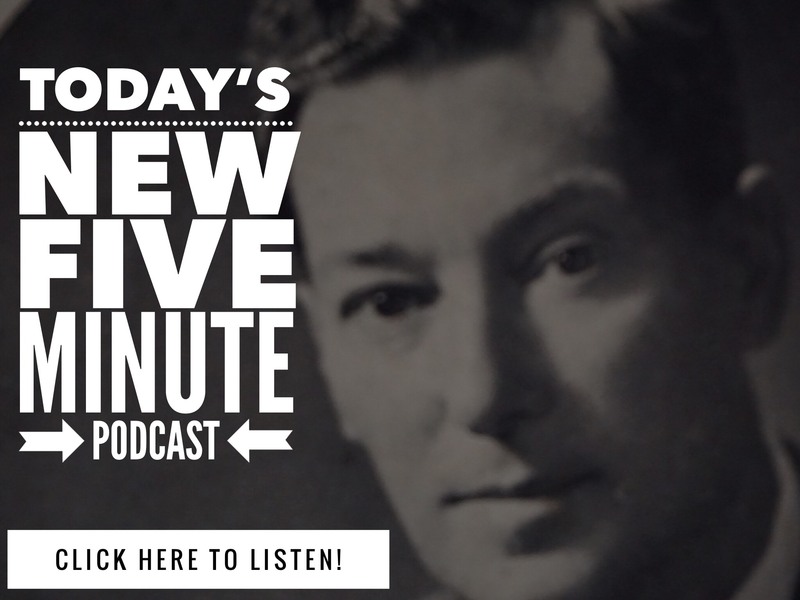 Today your Neville Goddard lesson begins with a reader request that’s gonna rock your world. Remember, watering down Neville with other people’s teachings – not only makes it confusing – it often keeps you stuck. With that in mind, let’s dive in. I have a question I was hoping you could clear up. Feel free to use it as a blog post if you’d like. I am unhappy at work and would like to do something different. If I was following Neville’s advice I might (for example) imagine myself shaking hands with a new boss as I accept a great job offer. But a lot of LOA advice I’ve read says to get happy where you are now, else you’ll just be unhappy at your new job. You take your vibe with you so you have to change how you feel about where you are first. Has Neville ever addressed anything along these lines? I don’t know what to do in this situation. For some reason – you desire – something different. Neville says – the next step is to move from DESIRE INTO ASSUMPTION – by Feeling It Real. Notice what ACTUALLY happened here. The man didn’t for three months “feel happy about being in debt”. He INVESTED his imaginal act – and imagined what he chose instead. The man in the story for three months – while still in debt in the physical world – kept rejoicing in being debt free. To people on the outside – it might seem that he was happy ABOUT his current physical circumstances. He wasn’t. He didn’t even NOTICE them anymore. He kept REJOICING in being debt free. He kept noticing in IMAGINATION that his balance was ZERO. He was happy about being DEBT FREE – first in imaginal reality – then in physcial reality too. ….stuck in the physical world – is easy – because you are being HONESTLY happy about what has ALREADY HAPPENED in imagination. This GENUINE happiness keeps you focused FROM YOUR IDEAL and will help you manifest wildly. …talk yourself into “being happy” because that’s what “spiritual people” are telling you to do. …let us know – keep diving deeper! It’s these moments -these tiny little distinctions that create massive change. Taking apart Neville’s teachings and drilling deep into them has totally transformed our lives. Victoria and I are happy you are here, diving in, doing what it takes – to transform your world. Join us in the 90 Day Manifesting Mastery Program – Click here – For less than the price of a daily cheapo cup of coffee you could TOTALLY TRANSFORM your life in the next 90 days. Join us! 61 Comments on "Manifesting Mistakes – Eliminating Debt – Free Neville Goddard"
I love this, thanks Twenty Twenty! I often wondered, when I was reading “other people’s stuff”, how in the heck are you supposed to be happy first, or where you are, before change can happen? You can be happy if you turn your attention away from the “problem” and focus on the end result, or the manifestation of your desire. That’s what you’re happy about, not your current circumstances, which might be miserable by the way, so why would you want more of that? Excellent article, thank you! Really good, thanks for this. Every single time we explore at this level – lives change. It’s those TINY SEEMING BITS that rock worlds. Great question…Great answer. I love this!! Thank you so much! Neville makes far more sense and this is what I have been thinking about asking myself if it was okay to "just move to happy" through imagination. I thought I might have just been attempting to "ignore" what was happening! Neville was a brilliant man and is still living with us through his incredible books and lectures!! Thank you again!! The way you explain is brilliant.Have had same experience with reading books.Being a bookaholic have read a lot on the lines of “The Secret” since came across it.Tried many merhods of many teachers ( Manisfested tinsy winsy things here & there) but since no one explained the core the methods were never effective.Only when I came across Neville it is as if God has beem talking to me.Understanding the truth about myself and my desire has helped me in enjoying the fulfillment of my desires.The simplicity of Neville’s method does wonders. This is great great stuff, thank you TT & V.
What you say just makes so much sense. If you forced yourself to be happy where you are then you’d just end up staying there forever, even though it might not be what you truly desire. This is what has happened to me. In the same job for a long time trying to make the best of it. Reading about LOA, everyone tells you you can’t attract a better home/job/partner/whatever if you’re not happy with the one you’ve got, but surely people do that all the time? Many people leave situations they don’t like and find better ones without knowing any of this LOA stuff. But by using the information here we can get away from the ‘crap shoot’ that most people play. One quick add-on question if I may? What would you advise imagining if you’re desired work wasn’t a job, but more like a coaching/training/consulting situation. So you couldn’t imagine a new boss welcoming you aboard because you would be working with different people. My aha moment there is not just physical reality but there is also imaginal reality. Thank you so much my chosen reality is my imaginal one. LOA guys emphasize the happiness thing because one must stay in the emotional ball park of the wish fulfilled even when not imagining the desired state. And yes, if you carry the hassles of the old job to the new one that you manifest you’ll turn that into the same old thing. I used to do that. It’s because although you’re in a different form (: job 🙂 you’re still in the same general state i.e. carrying the old hassles around. Revision is called for here. A general feeling of well-being is very important because it is ultimately what we want through all the many manifestations and it really makes the imagination much, much easier. So by saying to my friends and family that I am ok with my current situation (beeing single), I actually create more of this current situation? Because in my mind, I have chosen something else (a happy relationship). But if I tell them that, they might think I’m crazy.. So what should I tell people who ask or think I should find me a man..? What matters most is what you feel. Let me approach from another angle. In many people, there is a natural desire for success in life. To succeed in anything requires desire – followed by action. That action is most likely some mixture of imaginal and physical. Saying that you are doing what it takes to be successful – while doing what it takes to be successful – while feeling successful – is very congruent. And very empowering. It’s the same with relationships. If you aren’t okay being single, and you are telling people or yourself that you are – it’s a lie – and if “Mr Right” hears this – he might not even talk to you – because he wants to be in a relationship with you – and he hears that you are “okay” by yourself, etc. Being more honest, you can tell people, “I am ready for Mr Right”. And let that go. I suspect that’s more accurate than you being okay with being single. “Being ready for Mr Right” is a state where you are okay with yourself, okay with who he is, and okay with the perfect timing. That makes perfect sense:) Big love to u 2!! Thank you , TT! Perfect timing! how should imagine: if I am in a job (which I like), but in a public area where lel is not very nice and want to work in an area where there’s nice people? I ask because it’s hard to imagine many people at the same time being nice (about 50 people a week) and many of them do not accept explanations (although they are treated with kindness). What would having that change in your life? If you worked in an area with nice people, what would that change in your life? Then what scene in your imagination would imply that that is already a fact in your life? Please, forgive me because english is not my language. I don’t understand what you mean about:” what would having that change in your live.” Is it about the feeling the Change? Try this. Imagine people thanking you earnestly, all smiles and joy and telling you “You’ve been a great help. Thank you so much.” or “That’s a perfectly good explanation. Thanks for that!”. Don’t imagine to force or make something happen outside (: that will create a counter :), do it for the pleasure of imagining it. I do this quite often and have great results with it. Neville is my favorite teacher and his teachings resonate best with me. This blog is exactly what I needed to read today. Thank you! I don't think the intention is to be "happy being in debt", I think the change is to "be happy", which then changes your circumstances to such that you are happy. Happiness is the change, not being happy with whatever your present circumstances are. Many times Neville said to just envision the end. The feeling of fulfillment, of happiness. Just as in your example above, he didn't know where the two zeros were going to come from and he didn't try to figure it out. He just imagined fulfillment – in this case, the relief associated with seeing the two zeros. It is those “tiny bits” that take us to the max! This is brilliant!! And this is was one of the things that kept me stuck for years! Since joining the manifesting mastery course this clicked with me, now I’m not trying to pretend that I’m happy and hoping that things will change. It is so draining trying to pretend all the time that your happy and that’s why we crash we can’t keep it up because I just doesn’t feel right! Now I feel happy and peaceful because I know that my imaginal acts are changing my reality I know it’s a done deal so I’m not focused on the problem or circumstances, I’m focused on the solution on my ideal the knowing that the seed is being fertilised!! Believe in your imagination and walk in faith then you cannot help but feel at peace. It is my understanding that get what we are thinking about. Period. So if we are thinking about our current circumstance and are unhappy with it, we'll get more of the current circumstance and more of the unhappiness that goes with it. If, however, we are thinking about what we wish to experience instead and we are imagining it so fully that we are feeling it real, then we are attracting that to us. I don't think other teachers are trying so much to tell us to be happy with our current circumstance, as they are urging us to refrain from being so involved with whatever is around us that we are swept away by unhappiness. The key, to me, is to remain neutral about what I don't want to attract more of and feel happy and expectant about what I do want. I find Neville's feeling it real process is a perfect way to to do just that. Anytime I feel myself becoming negative about where I am at the moment, I remind myself it's only temporary and then step back and travel in my imagination to where I want to be. The more real I make it in my mind the happier I feel. It's like taking a happy pill. Neville taught we get where we feel from, which is a bit different than what we think about. Feeling from the state of teacher, has me answering this for example. Thinking about answering it – will tend to leave it undone, in the future, separate from me. And here’s a video where we explore FEELING FROM, which is so vital. As far as other teachers go, people send me quotes from them – teaching just that: “be happy with what you’ve got” kind of stuff. I don’t give it much attention, except to clear up where that causes problems. Keep feeling it real Kate. Pretending is pretending. Pretending to be happy while hoping – is a doomed process. Creating is creating. Creating the FEELING of who you choose to be in the world – works wonderfully. Because what you FEEL, echoes into all that is – creating your physical circumstance. You're right, TwentyTwenty. Other "Secret teachers" mixed in with the wisdom and proven teachings of Neville have made for much confusion and failure. I used to subscribe to lots of different knowledge-based email newsletters but yours are the ONLY ones I save and archive. Just yesterday I deleted literally HUNDREDS of unread emails from others that served no purpose but to clog my inbox. I'm not nearly done yet as all I did so far was delete what I currently had but had not UNsubscribed. That is today's task. I have no need for anyone's watered down misinformation. I'm so over it! I have been reading Neville every single day (lectures I'd printed out as far back as 2006 and placed in their own notebooks). I have also been listening to lectures with earphones every night when I go to bed and doing my Feel It Real sessions. I realize that I need to stick to one thing – NEVILLE – and make that alone work for me since I believe it does. It's such a joyful experience. I so appreciate you for clearing up questions and helping me find the right path. We’ve done both, and have learned – keep it simple – feel it real. The ONLY reason people keep adding stuff to what works – is because they fully don’t believe that all they need is WHAT WORKS. When you get that, you only do – what works. Here’s my challenge to EVERYONE who is still studying other “secret teachers”. Now let’s look at the truth. Nobody kept it from you – you chose to ignore “it”. And what did you choose to ignore? Not the secret law about the universe….. You chose to ingore the truth about YOU! What’s the truth about you? You are amazing. You are one with God. Pure love. Pure potential. Pure possibility. But to accept that – you’ve got to give up EVERYTHING – that implies that you aren’t. And that scares people. It scares them because they have to leave the victim tribe. And that’s what most tribes are, groups asserting they are different – asserting they are different. Discovering your oneness – removes all need to seek a tribe – because you stop seeking – when you find love. I am trying to decide whether to ‘Feel it Real’ for having 1 Million Dollars or imagine for 1 Million Dollars or MORE. As 1 Mil would be great but more than 1 would certainly be preferable! Maybe I should imagine for being an ‘Instant Millionaire’ rather than set a dollar amount? Thoughts? I also add that I receive whatever money JOYFULLY(as it could come in a negative way). That’s where we would suggest you begin. PS: Let us know what shows up as you explore those lessons here, that would be great, and bless many! This post really clicked for me, and I realized that when I am really, truly Feeling It Real, I can tell. I can feel my happiness and excitement in my body (like you do when you’re physically experiencing something exciting or joyful) and almost a buzzing sensation about me. I’d like to ask a question about Neville’s family. You mentioned that they have been using this successfully for about 100 years now. I’m curious about the current Goddards, and whether they are still utilizing these techniques. Are any of Neville’s children at all active in their father’s work? Kate stated: I do not think they are trying so much to tell us to be happy with our current circumstance, as they are urging us to refrain from being so involved with whatever is around us that we are swept away by unhappiness. So true. They are saying do not feed into your fearful situation.Sometimes you do not have to REACT to a boss. If he is screaming at you, be unemotional to his response to you.Do not scream back. By being unemotional the bad situation can not grow or escalate. example 1: Road rage. Do not escalate the problem with a crazy driver by feeding more negative energy into the situation. Simply let that person drive on and say God bless. Example 2. The civil rights leaders in the 60’s advocated nonviolence. It is the same principle. Neville teaches…A thought or word without feeling, produces nothing. You are not feeding negative energy into it. When you imagine from the end, you are shifting your focus.Your focus is on an experience that makes you feel happiness.Concentrate on the feeling, you wish to project. Hi Mr. Twenty Twenty. i really enjoy your articles. In this one i noticed that he imagined the debt being paid off – continually for 3 months. You may have previously covered this and i may have missed it but does that mean he didn’t imagine anything else that he wanted to change in his life during that time? I suppose my underlying question is about multitasking or imagining more than one thing at a time. TWENTY – and also this entire thread of genuine, interested, people who are re-discovering who we are…. You keep on blowing my mind. Expanding my heart. Shredding my old doubts. THIS is one of the best, most relevant (to me) and clear conversations you have shared. Twenty the very best thing is when you work with one of us, like this in these shared emails – and just break it on down. YOUa re the best thing I know. Thank you also everyone who takes this time to share, explore, write and read. When this email rolls around again, I will comment again..for sure. Deeper, better, more. Wow, this is huge! And a great key to understanding Neville’s process…I too am going through this and any “happiness” seems forced and fake…great info and definitely unlocks the doors to not only success, but freedom! Glad you are here Eric! THAT is exactly what we are all about. These tiny little bits – take “LOA” from seeming NUTS, to being a true way of life. Big blessings to you mate! I’m in total agreement with you that NEVILLE is the only manifesting guide we need. Even a top new age writer like Greg Braden praises Neville in his book The Divine Matrix. Quantum physics supports everything Neville says about the nature of reality. but what about gratitude. focusing on what you have, being grateful for it and this way getting more of it. Nothing wrong with being thankful for what you have. Notice how this fits in with how Neville prays? Give thanks for what you have prayed for – because you already HAVE IT! Now that makes sense! I was having trouble with that one myself. I started out reading the secret and I quite agree that the modern day gurus are watering things way down! Great for book sales, bad for those of us that need the info. I did eventually make here though. Thanks TT&V! What a beautiful article. After doing manifesting mastery what I have gathered is even Neville is telling us to be happy with the present circumstance, however, the difference with Neville is we have changed our present ( we have buried our old self ) so our present is that feeling of the wish fulfilled. So we are actually being happy for our new present. Such as here that would be the debt free person because that person in debt no longer exists. It’s SUBTLE in a way, isn’t it. I remember REJOICING INSIDE, when I got what I am about to share next. All I have to do is assume the state of my wish fulfilled – and stay there – and it’s a done deal. I don’t have to “be positive” about my physical situation, because it can’t possibly bother me anymore – because I know THE TRUTH. And I can simply relax, rejoice, and remember when – I was in that stuck place. Wow, yes I would love to know this too! because you just are. You just are what you choose. You just are the man you decide – from this state. The family is very private, but from people we have met who know the family…. They say that they have a knack for manifesting what they want in life. Blessings to you Carol and Lisa too! I had a real ‘mind blower’ recently, now fully embracing my wonderful ‘second life’ after mom’s passing. She always expressed the desire that once our caregiving tasks were done, we all move ahead and ‘walk in our wish fulfilled’.. I spoke to her about it several times, and she may not always have grasped it all, due to her progressive dementia, and her mental frailty. Plus she was 95. But you know what? Her joy at seeing me ‘in the feeling’..she intuitively, and utterly understood THAT. So, anyway, I have been walking in the state of my wish fulfilled. My new life, wherein I am a successful writer-teacher-mentor-active community philanthropist..I often would say (erroneously, now I see)..that ‘coincidences began happening’. Now, I understand much more deeply..they were not coincidences. They were events, and circumstances that I manifested. Now that I get that clearly, my entire view and experiences have changed, taking on a strength, tone and force-field I never dreamed could be! !